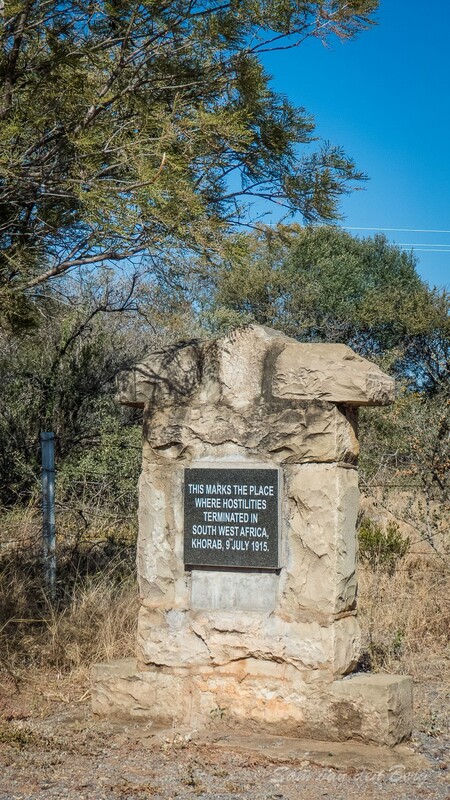 On July 1st 1915, the German Army was defeated at Otavi by South African troops. On July 9th they surrendered and signed the Khorab Peace Treaty. 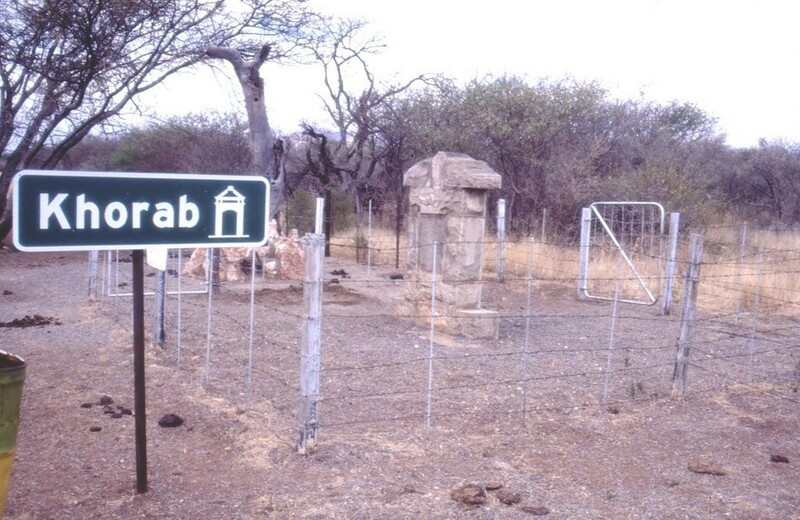 The Khorab Memorial (1920) is a testimony to this event, and can be found a few miles outside of Otavi. 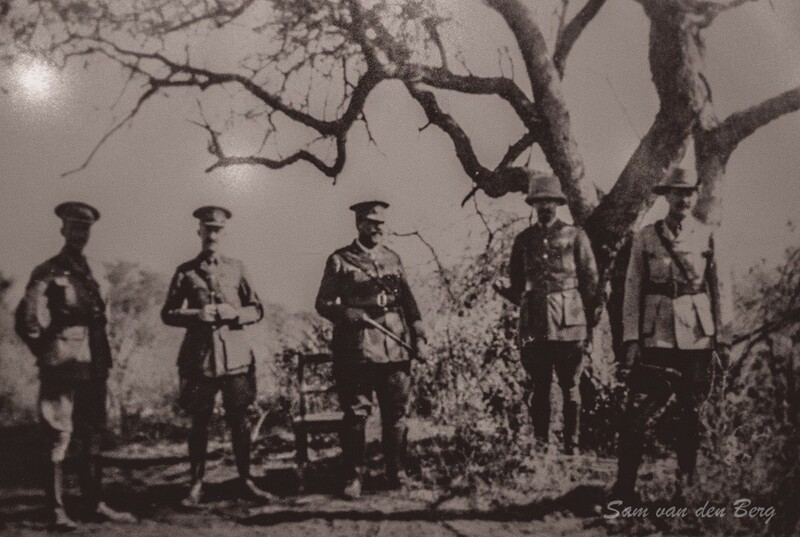 The last conflicts in the South West Africa Campaign took place near Otavi in Namibia's north. The Germans, outnumbered, tired and having depleted virtually all of the needs vital to a fighting force held meetings on the 4th, 5th and 6th of July regarding the terms of surrender. 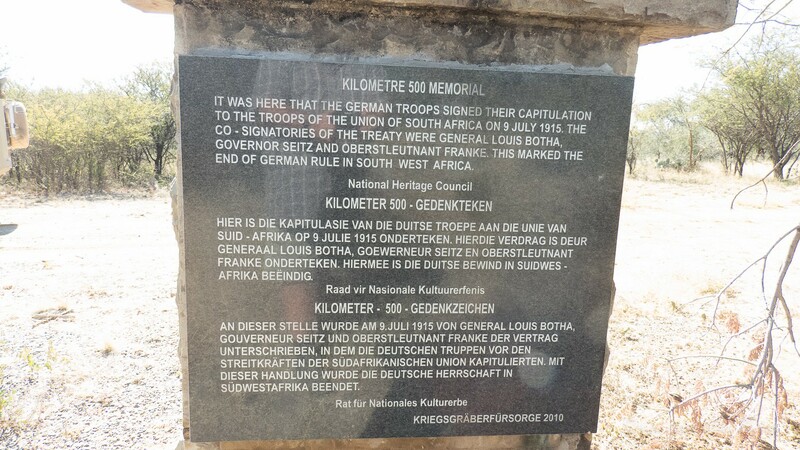 Just before this the Germans dumped many of their field guns, ammunition and equipment into Lake Otjikoto. 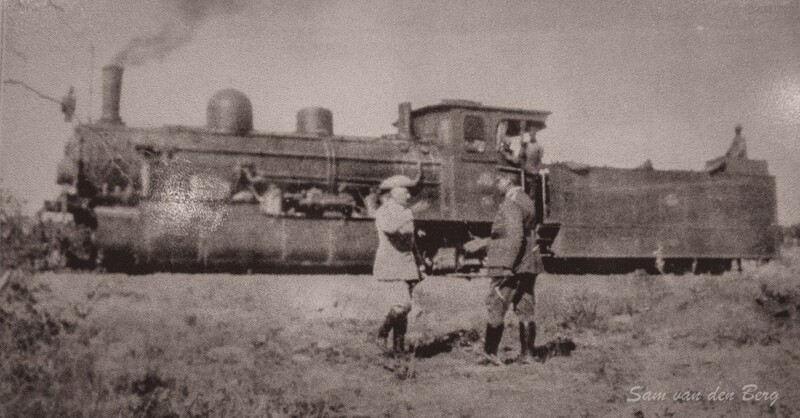 10h00 on 9th July 1915, as previously agreed upon and arranged, a train carrying the Governor of German South West Africa accompanied by Schutztruppe Major Victor Franke and several junior officers arrived at a point known as Kilometre 500 just North of the small town of Otavi. 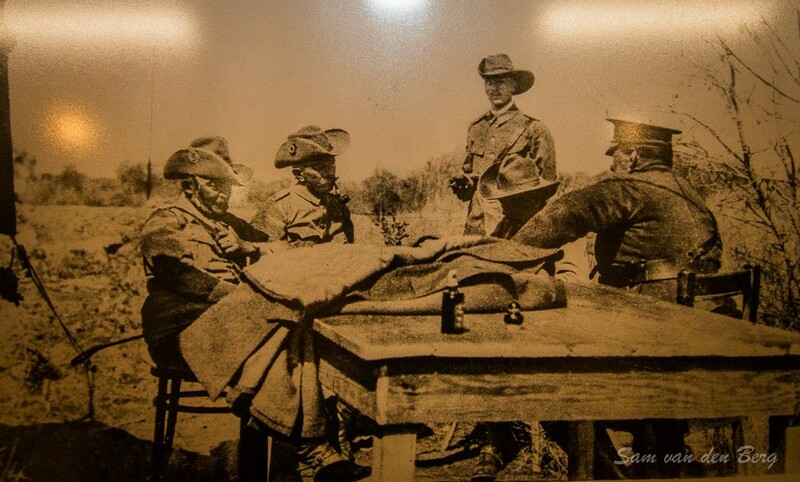 They were met by General Botha, Colonel de Waal, Major Bok, Major Esselen and Major Leish, of the South African forces. The terms of surrender were signed on the wooden table set in a clearing in the bush alongside the rail track ending hostilities. The document became known as The Treaty of Khorab. The South West Africa Campaign lasted 203 days, and ended just under 31 years of German colonial rule in Namibia. 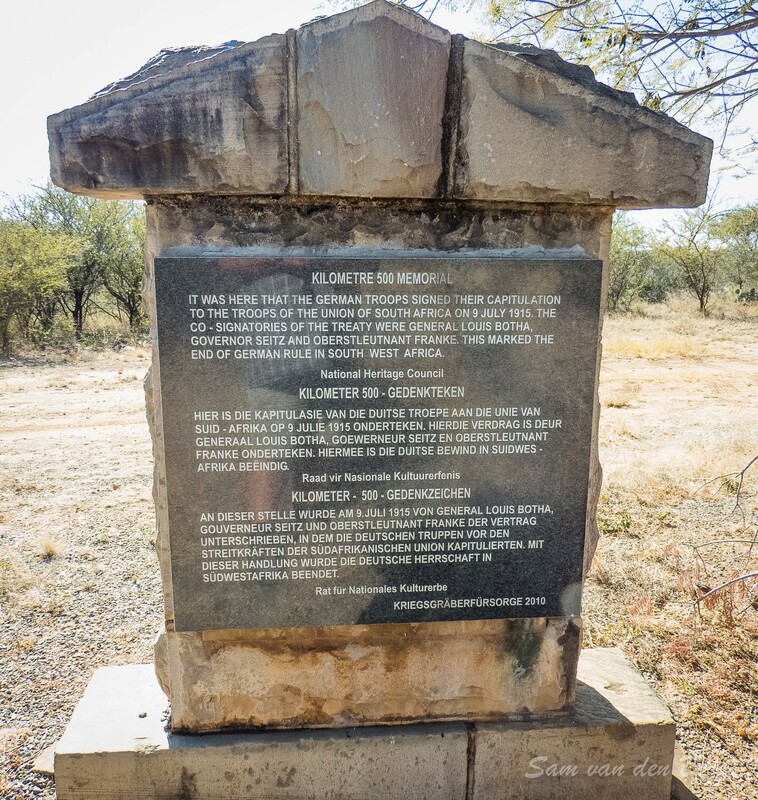 Of Interest: Just before the German Army surrendered to the South African troops they dumped many of their field guns, ammunition and equipment into Lake Otjikoto. 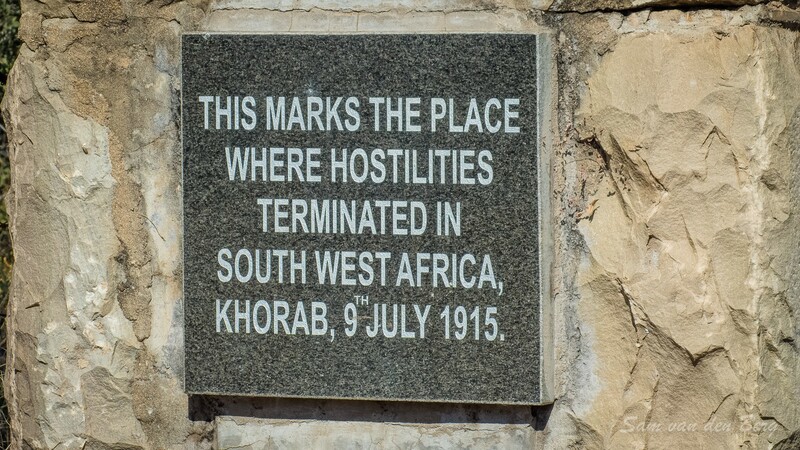 The South West Africa Campaign of the 1st World War lasted 203 days, and ended just under 31 years of German colonial rule in Namibia.